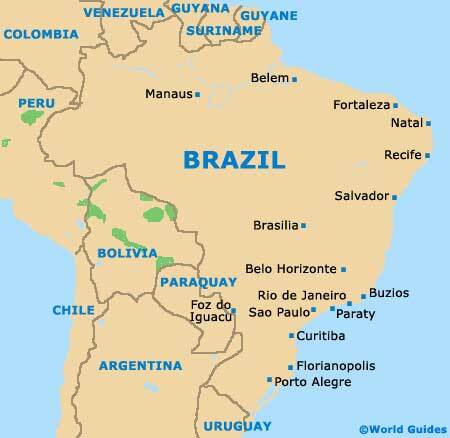 Brazil's biggest city, Sao Paulo is home to a population of roughly 11 million inhabitants and is located on the south-easterly coast of the country, where it is capital of the State of Sao Paulo. The metropolitan area encompassing the city is simply vast and called home by in excess of 20 million people. 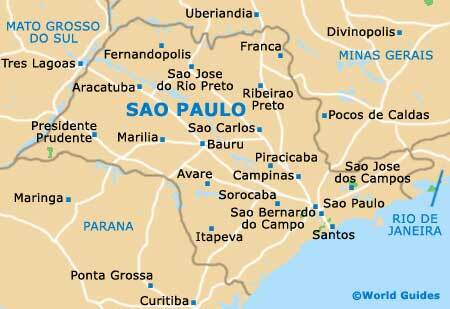 Sao Paulo lies alongside the South Atlantic Ocean and is famed for its beautiful coastline and beaches. Navigating this city is made considerably easier by the organised metro network of subway trains. 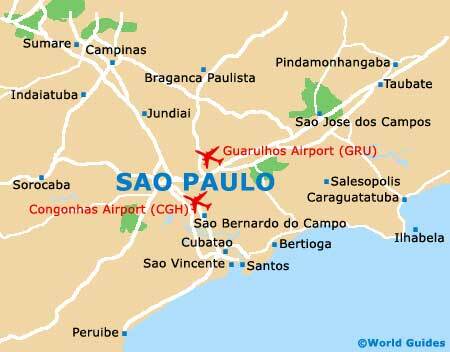 If you are looking to purchase a map of the city, then consider purchase the very inexpensive Guia Sao Paulo guide, which features detailed street maps and is available at most kiosks around the city. Very much a multicultural city made up of immigrants, Sao Paulo comprises a series of individual neighbourhoods and communities, which are often connected with the various nationalities who have chosen to settle here over the years. Located directly south of Sao Paulo's cathedral and the Praca da Sé, the Liberdad area is known for its Asian residents, while to the east, the Bela Vista is a neighbourhood with a particular Italian flavour and plenty of restaurants to match is character. To the north of the Praca da Sé is the city's Arab community, which is based around the Rua 25 de Marco. Close to the Estacao de Luz railway station, the historical Jewish quarter is particularly appealing. 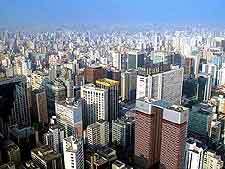 Also of note is the Avenida Paulista, which is to be found on the south-western side of Sao Paulo city centre and is flanked by a rather impressive collection of towering buildings and modern skyscrapers. Next door, the Cerqueira César district is brimming with eateries and lively nightspots.